At the Nepal Earthquake Summit, the panel “Disaster Response On and Off Campus” featured five Nepali students in American universities and one professor, Kathryn March, who is head of the Nepali studies program at Cornell University. All the panelists had a deep connection to Nepal. Some of them were raised in Kathmandu, and Kathryn March’s connection came from decades of research experience in the area. In their presentations, the panelists described their varied responses to the devastating earthquake that hit Nepal on April 25, 2015. These included fundraising in the U.S., rebuilding schools and homes in Nepal, and increasing awareness of the susceptibility to human trafficking. The panelists shared in the emotional investment in the rebuilding of Nepal and reflected on the common theme of resilience in the panel discussion. Nepal’s harsh landscape fosters a culture of self-sustainability. The government offers little infrastructure, such as electricity, healthcare, and education, so villagers have become self-sufficient. The majority of Nepal families depend on agriculture for a living (Ashish Khemka), farming the hillside and trekking miles for water. Some set up solar panels to charge a single cell phone. Healthcare options are sparse, consisting of an expensive Western hospitals and cheaper shamans, also known as witch-doctors. Schools with trained teachers and necessary classroom materials are rare too. Children are often pulled from their schools to work in the farms. Backdropped by gigantic, convoluted hills, a life of hard work and self-dependence is made. The history of Nepal is similarly rugged. Ruled in a monarchy by the Shah and Rana royal families until 1951, until the Rana family was “overthrown by a coalition which included the Shah king, Tribhuvan, the political parties, and disgruntled factions of the Rana elite” (Hutt, 30). The significance of this lies in the presence of both royalty and political parties, a duality that did not previously exist. The parties grew within Nepal until power shifted to the Nepali Congress Party in 1991. However, by 1990 the Communist Party of Nepal began supporting non-government actions to create social change. This erupted in violence and in 2000 commenced the People’s War, a ten year civil war between the Maoist Party and the Royal Army. Then in 2001, every member of the Royal family was suspiciously massacred, except for the king’s brother, Gyanendra who assumed the throne. King Gyanendra had a radical view on the Maoist insurgency and fought against the Maoist to maintain total control. The conflict between the king and the Maoist pitted people against each other, and against both parties. People could no longer depend on the government for infrastructural support (Hutt, 4). Nepal’s history fragmented and diversified the people. The caste system and immigration from India and Tibet increased juxtaposition between rural villages and the metropolitan hub of Kathmandu. As a result, these sub-cultures have varying needs. Some depend on a daily drink of home-made alcohol, while others view alcohol consumption as sinful. Some families have greater access to education, able to afford travel to other countries, while poorer families keep their children home to work in the fields. This strata was represented within the panel. Even though the youth present had experienced western life, their sense of place remained firmly in Nepal. The 7.8 magnitude earthquake that struck Nepal on April 25, 2015 devastated the country, killing ten thousand, and burying entire villages under mountains of rubble. Yet, villagers maintain their self-reliance fostered by the harsh landscape. The type of aid Nepalese needed varied from one village to the next. Some villages needed health care, while others needed materials to rebuild their houses. Outsiders emphasize the importance of support, directly communicating with villagers about their immediate and long-term concerns. Other needs include nutritional subsidies, manpower to rebuild, and increased security of the borders. Due to the vulnerability of Nepal after the earthquake, human traffickers would cross the border into Nepal and coerce young women work for them. The panel Disaster Response: On and Off Campus discussed relief efforts in the United States and Nepal, focusing especially on the strong cultural ties to Nepal. Hutt, Michael. Himalayan People’s War: Nepal’s Maoist Rebellion. Bloomington: Indiana UP, 2004. Print. March’s work centered in Phyukhri Ridge. She fundraised with Cornell students $20,000 for Educate the Children, an NGO based in Kathmandu and Ithaca, New York that worked for better education within Nepali villages. The New York side raised funds for the implementation by the organization in Kathmandu. 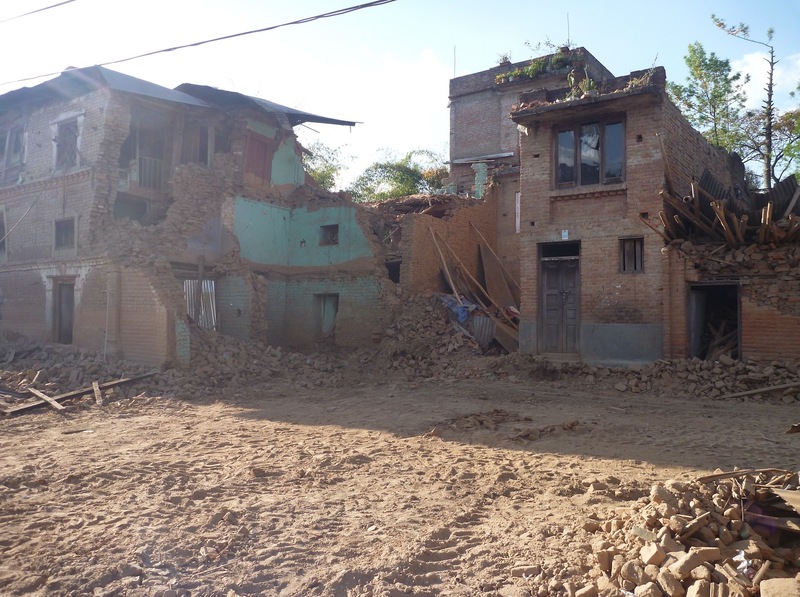 March worked with the Village Development Committees (VDC’s) to determine villages’ recovery needs, including shelter for animals and grain and earthquake-safe houses and school structures. March became a key communicator between the Nepal villages and the United States and the Nepal government. When supporting a community, March emphasized that her role was “knowledge transfer,” leaving the question of application to the Nepalese. Self determinism, inclusivity, and equity achieved effective recovery. Through the Friends of Phyukhri Ridge program, thirty male Nepali villagers from many castes were trained in reconstruction skills. Nevertheless, the needs and solutions for the villages were determined by the Nepal community. March also headed the Cornell-Nepal Earthquake Recovery Partnership which connected Nepali students with an opportunity to study at Cornell for two years. Cornell curriculum was also developed to include new courses about Nepal that linked Cornell students with the Nepal community, Cornell alumni, and sponsors who wanted to assist in earthquake recovery. Khemka first discussed the country’s susceptibility to human trafficking. Human traffickers could easily entice desperate young women to work for them with the empty promises of money. Short-term solutions included increased security training for the Indian border police and self-defense classes for women. The latter aims to reduce abuse and boost confidence and sovereignty of women. A transition plan was to build twelve transit homes, but where would these homes transition them to? Although there is no single solution, Khemka is developing plans towards answering this question. Khemka also worked on building schools. Immediately after the earthquake, people set up temporary school structures. Procuring the resources to build the temporary structures was difficult. Khemka claimed that consolidating resources to build one earthquake-resistant structure would be most cost and resource efficient. The earthquake also destroyed grain storage shelters, which Khemka felt needed to be addressed. Nepal also needed more veterinarians to care for the livestock. Three Nepali students organized fundraisers at the college and online, raising over 2500 USD, however complications arose. They wanted to ensure their money was contributing to the relief and not ending up in someone’s pocket. Rather than donating to large organizations like Red Cross, the students decided that to sponsor volunteer trips to Nepal where direct relief contribute could be made. In Nepal they built a library and classroom. Additional funds were used to donate computers and supplies to a village. Some students are also currently involved in making a documentary about the Nepal earthquake to increase awareness and showcase Nepali strength. Both students had found out about the earthquake when they were at college. Dongol mentioned how her western education made her approach to Nepal somewhat critical. The earthquake didn’t cause societal problems, it exposed them. When lots of people were injured, the earthquake exposed the inefficiency of the current healthcare system. The education facilities had not been updated to be earthquake resistant and manual labor was required to rebuild all the schools. Even the government did not respond immediately and the people felt they could not depend on the government for relief or guidance at this time. The villagers had to rely on their own knowledge and willpower to rebuild. 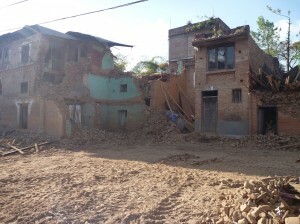 Although Kathmandu was getting most of the attention, Dhakal and Dongol felt that the earthquake done more damage to the rural villages than the capital. When the government got to remote locations, the people had mostly recovered and the damage was inaccurately assessed. A positive thing that came out of the earthquake was youth reengagement. Dhakal and Dongol mentioned how the Dartmouth community supported them when the earthquake struck. Both of them eventually returned to Nepal, participating in the return of the youth. Dongol mentioned how increased training of Nepalese in dealing with earthquakes could help them prepare for the future. The panel consisted of all the presenters. The discussion revolved around individual reactions to the earthquake. Nepal students addressed their resilience and the resilience of the the Nepalese, a core value of their society. Kathryn March referred to the “emotional weight-lifting” of resilience, saying how it is unnecessary to always stay strong in a situation so devastating. She mentioned that “resilience doesn’t have to happen on site—it can happen remotely.” Other Nepalese disagreed, saying that strength is part of their culture. The issue of awareness was also brought up. Students were frustrated that most of their peers at school, even the professors, knew little of the earthquake. In response, March added that the goal of her new courses at Cornell was give more people the opportunity to get involved with the recovery process and foster a long-term relationship with Nepal. Kathmandu recovered faster than other regions. However, the government continued to distribute funds to those who were not in need, some of which were spent on alcohol, rather than rebuilding. Other Nepalese were frustrated with some volunteers. It seemed that many volunteers wanted the Facebook fame of relief work but did not care about the success. The Disaster Response On and Off Campus panel outlined the support system for Nepal by those living in the US. This event brought together students, professors, and community leaders, who all were working for the same goal: helping Nepal. For the US-based Nepalese, this event could serve to alleviate anxiety about the earthquake’s devastation, assuring people that help and relief were in progress. Nepali students in America were able to boost awareness in their communities and organize fundraisers to aid in disaster relief. The money was donated to the Educate the Children charity, sponsored students to travel to Nepal, and used to donate computers to Nepal schools. The reengagement of Nepali youth has been extremely significant. With desire to get higher education outside of Nepal, there has been an increasing out-migration of the Nepalese young population. The earthquake has motivated many to return to Nepal, contributing directly to the relief efforts. 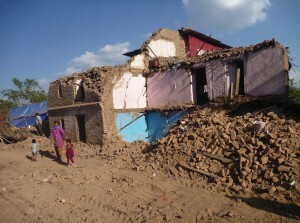 The Nepalese did not have an example of reconstruction to follow, as the previous earthquake happened eighty years ago. The Nepal eighty years ago was a drastically different atmosphere in terms of technology and infrastructure, incomparable to present day Nepali society. Natural disasters are relatively unpredictable. However, being prepared for them can save lives. Other countries can take Nepal’s situation as a learning experience. Proactive measures can be taken to ensure disaster preparedness, such as drafting evacuation plans, reinforcing structures, and stocking emergency provisions. rebuild villages and schools from scratch, organize fundraising groups, and how to increase global awareness. This Nepali resilience and self-dependability was one of the debated topics on the panel discussion. The idea of resilience is a key component in the national identity of Nepal and Nepalis, but the discussion brought out the different individual definitions of resilience. One panelist referred to the unnecessary culture of “emotional weight-lifting.” No individual is strong enough keep from expressing pain. Others claimed that their historical association with the fearless Gorkha army has toughened them into an emotional callous, able to accomplish any arduous task, such as rebuilding their entire village in the earthquake’s aftermath. Tenzing Coburn responded to the Nepal earthquake through visiting his birth valley and creating this video. He was born in Nubri but adopted and raised in the United States. His approach combined necessary rebuilding efforts with his dream of filming this short documentary. For the college students on the panel, they felt fundraising was only way they could immediately aid earthquake victims. Though successful in raising money, they were unsure to whom they should donate, fearing charity’s ineffectiveness. After the Haiti earthquake, it was rumored the Red Cross had only built six houses (Colby-Sawyer). Whether there was any truth in that, funds can be corrupt and mismanaged. Often donations went to those who were unaffected by the earthquake (Kripa Dongol). This corresponds with the extensive media coverage that Kathmandu received, though the earthquake damage was far less than other villages. Even when donations went to those in need, some would see it as extra money and buy alcohol instead of supplies. Although it might appear that the victims cannot take care for themselves. However, many villages couldn’t wait for government aid and took charge of their own reconstruction (Kripa Dongol). Another issue is the role of the responder, who must remember their role is to provide support. Their first goal is to help those in need. When dedicating months to such a cause, it’s easy to get discouraged, and convinced to do something else. For example, some Colby-Sawyer students wanted to make a documentary to raise awareness of the crisis, rather than help repair the village. The villagers contested: everyone is making movies and interviewing us, they said. When will we get help? While the Colby-Sawyer student’s intentions were in the right place, perhaps their idea would have benefited victims. The role of the responder is to serve the direct needs of the victims. This power structure, a bottom-up organization, or even center-periphery power, works very well to accomplish needs. It is the individuals who have needs, not societal structures (March). Often, the aid worker has his own sights of where the project should go. Professor March contests that the benefactor should instead act as a facilitating consultant, contributing resources such as time and expertise. When villagers are given room for self determination, they are much more invested in the success and future of rebuilding projects. Without local buy-in, projects are often unsuccessful in the long-run. Colby-Sawyer Rallies for Nepal (pg 25/80). All of the panelists had personal and/or professional connections in Nepal. How could someone be involved in the relief efforts if they did not have these contacts? 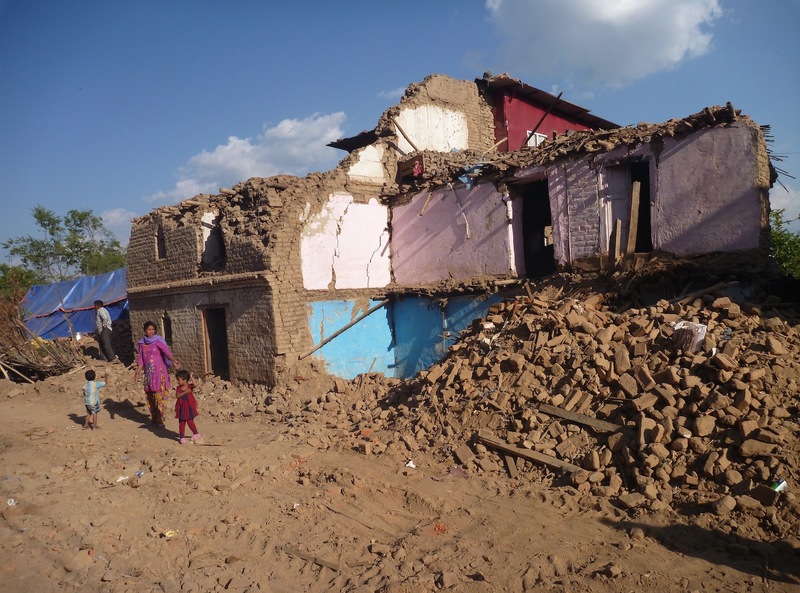 What are the current and future needs of Nepal recovery today? What steps will the Nepalese and the Nepali government take to be ready for an earthquake in the future? How can wealthy nations and NGOs learn from the successes and failures of supplying outside aid to Nepal?